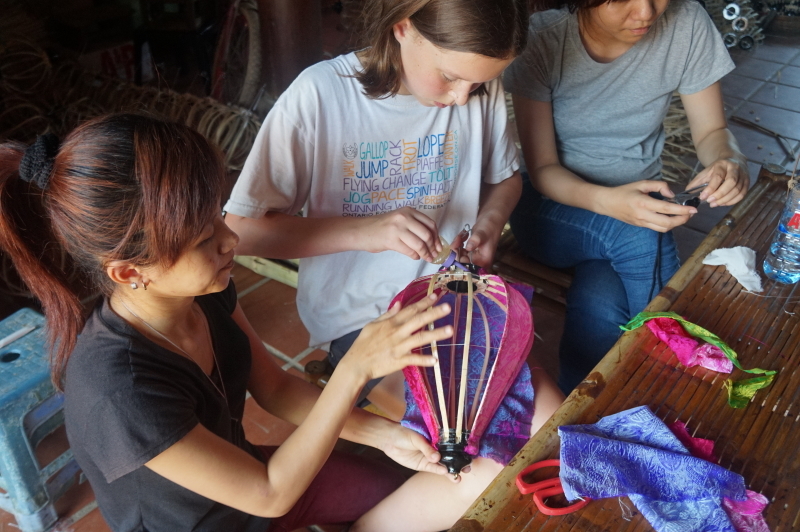 Lantern Making 101 | Hello Cool World! Eva here. 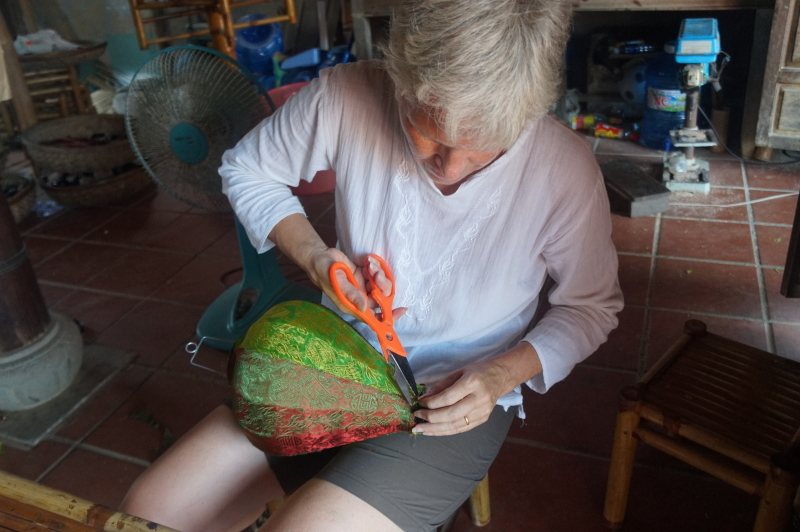 Today my mom and I took another Backstreet Academy course, a lantern making class in Hoi An. 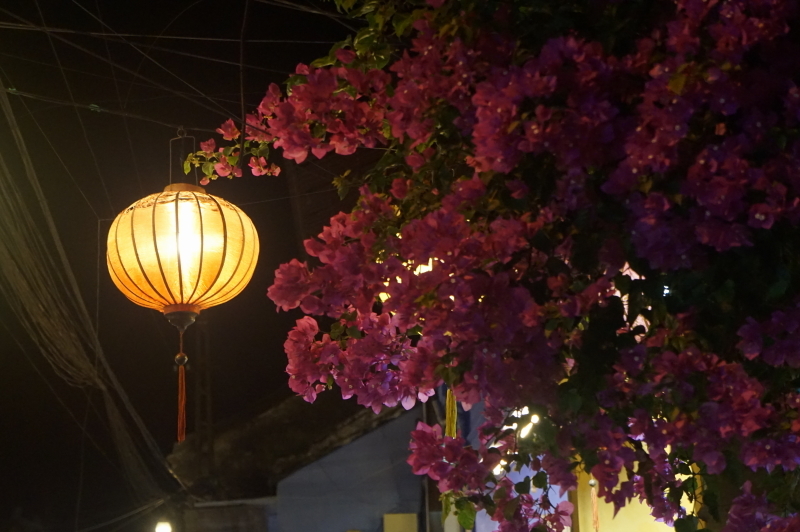 Hoi An is full of lanterns that are unique to the area. 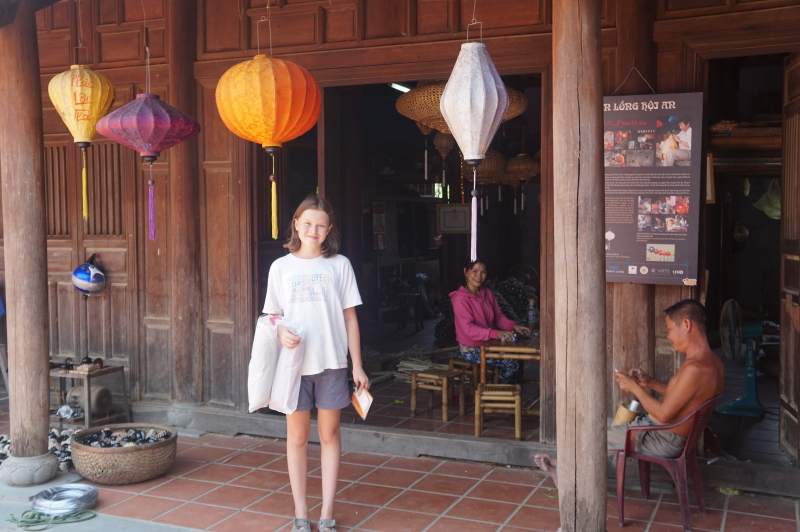 We had learned on an earlier walking tour that round lanterns symbolize pumpkins and the ones with pointy ends represent garlic. Garlic is used to keep away bad spirits so that’s why they hang garlic-shaped lanterns outside their houses. Pumpkins have a lot of seeds, so they represent many people. 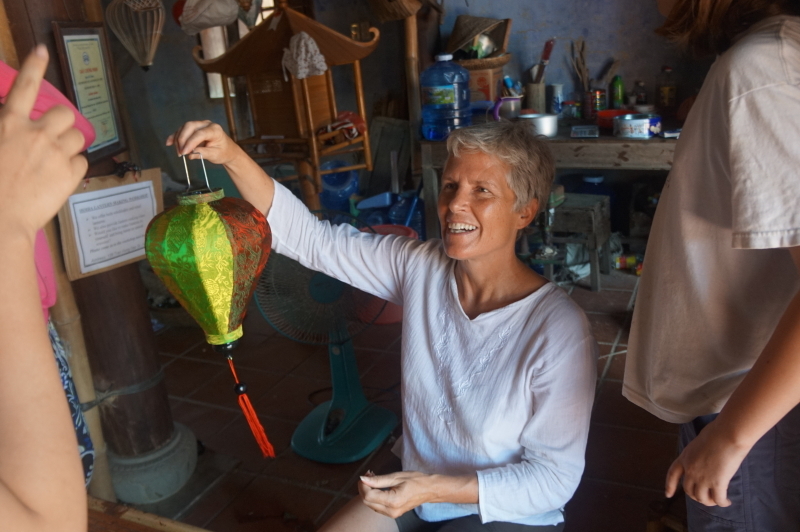 Lanterns are made in pumpkin shapes to wish for a large family. We didn’t know for sure that we were going to do the class until last night. So, today we left our guesthouse on bikes and went to an area that looked like a temple. We met the facilitators and went in. 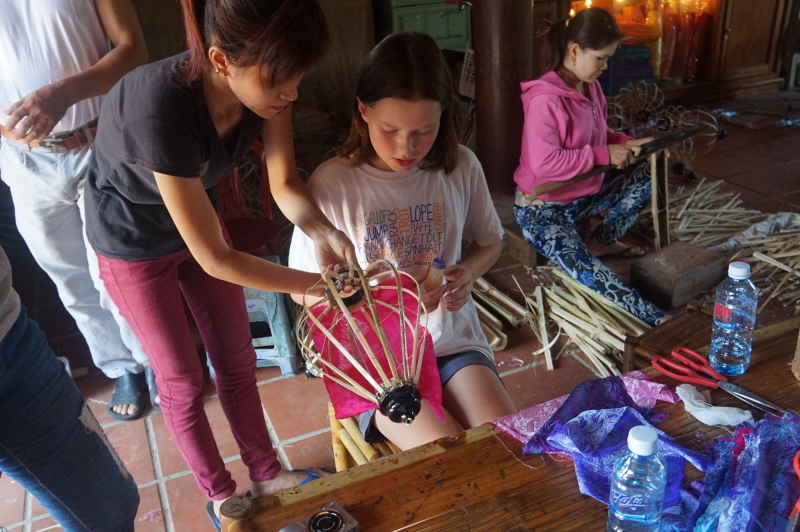 We were meant to have the lesson with a man in his 80’s but he had unfortunately left so we had to pull people from doing their work to help us and then started making our own lanterns. 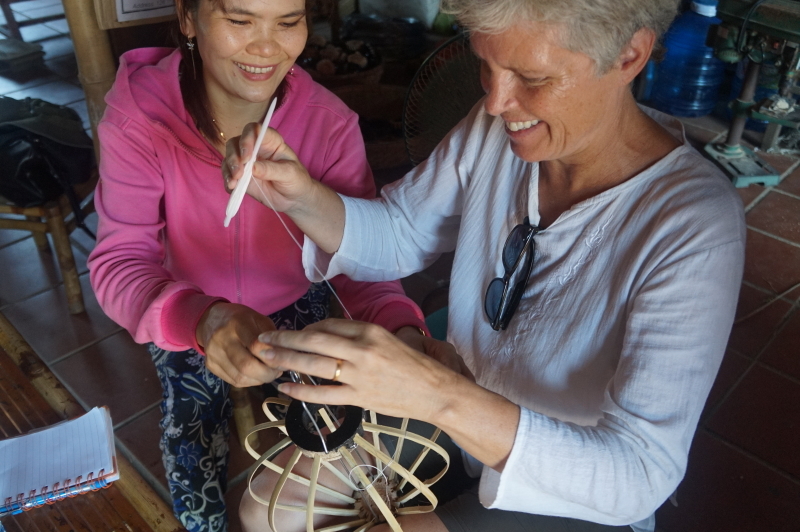 We had to do a somewhat difficult stitch to hold the bamboo together. After a while, we finally got it right! 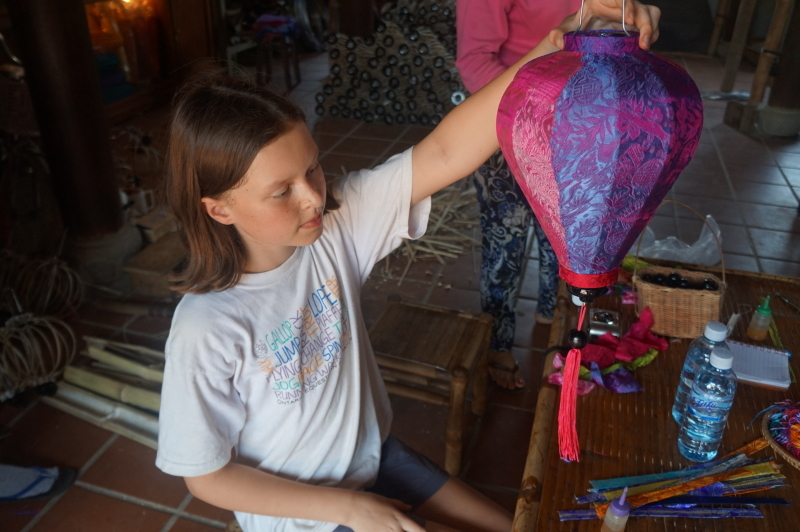 When we started decorating the lanterns, mom chose green and red silk fabric and I chose pink and purple. 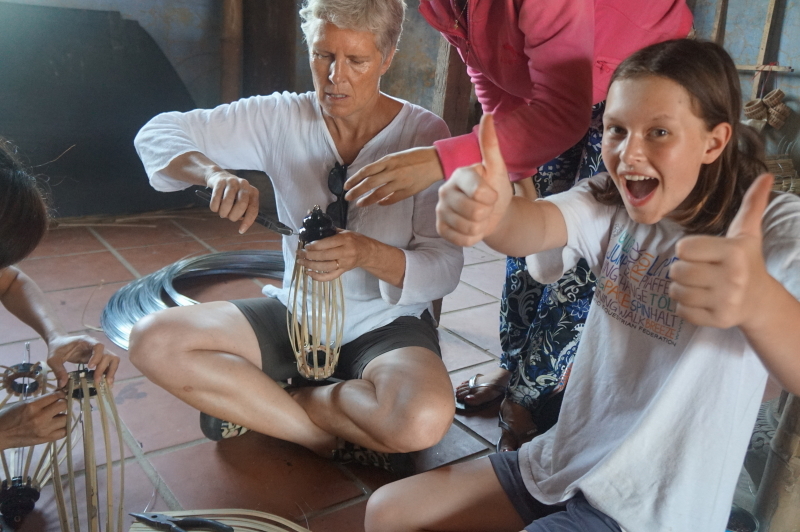 When we finished we realized that our bikes had been in the sun the whole time so the seats were burning hot. Everyone here parks in the shade. It was a lot of fun. 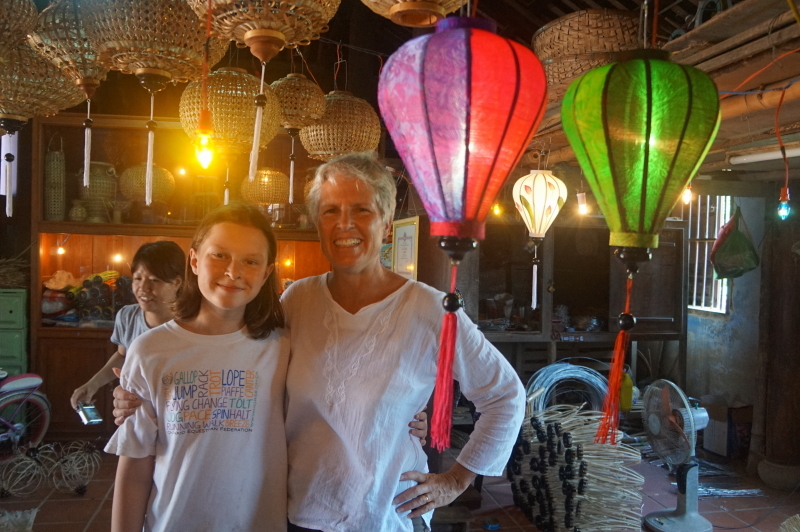 The only problem is that now we have two lanterns to carry with us for the rest of the trip. GREAT !!! I was hoping to see the lanterns..now,,will they survive? They look pretty delicate. Hey Eva maybe I can have a lantern lesson when you get home?